We design and manufacture Products for Metals Industry using leading technology and best practice. Our Products for metals industry includes high temperature furnaces for forge, aluminum, electrical, ferrous casting, stress relief, heat treatment, tempering and other applications. At Nutec Bickley we are committed to excellence and to bring the best equipment to our customers, we assure this by analyzing all of our customers needs and complying with high quality standards. Forging furnace and ovens with the best technology for the following forge plant processes. Aluminum Furnaces and custom industrial ovens with the best technology for the following plant processes. Nutec Bickley manufactures Stress Relief Furnaces for the steel plate working & forming industry as furnace manufacturers of Rail tanks, vessels, large weldments, heat exchanger parts, gas tanks, tools, agricultural machinery, leaf springs, etc. Nutec Bickley provides high temperature furnaces with the best technology for the heating treating (Austenitizing, tempering and Normalizing) of steel tubing and casings. Furnaces and custom industrial ovens with the best technology for the following Ferrous casting plant processes. Custom industrial ovens with the best technology for the following transformers and motors manufacturing plant processes. Nutec Bickley provides ovens with the best technology for the drying process of welding electrodes. All Nutec Bickley’s furnaces and ovens are manufactured with the top standards of quality, all our equipments complies with safety norms to assure your plant process with high quality and efficiency. 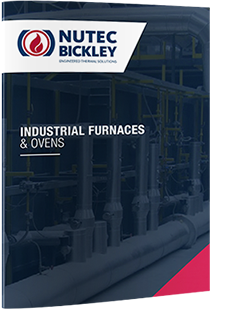 Nutec Bickley provides industrial Heat Treating Furnaces and Ovens in custom designs and dimensions to match customer production and process requirements.